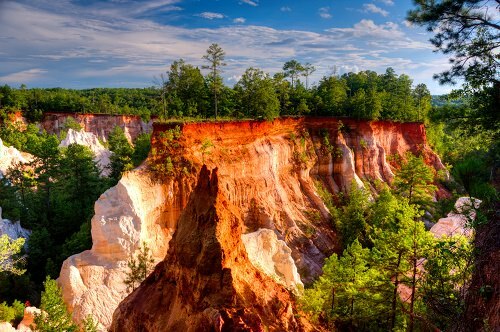 Providence Canyon in Georgia, USA is a tempting treasure you don’t expect to find in the southern United States. Shades of taupe, tan, and rust color the rocky walls of this exquisite destination. Spindly trees watch over the canyon, causing visitors to wonder how vegetation manages to grow with no source of water in sight.